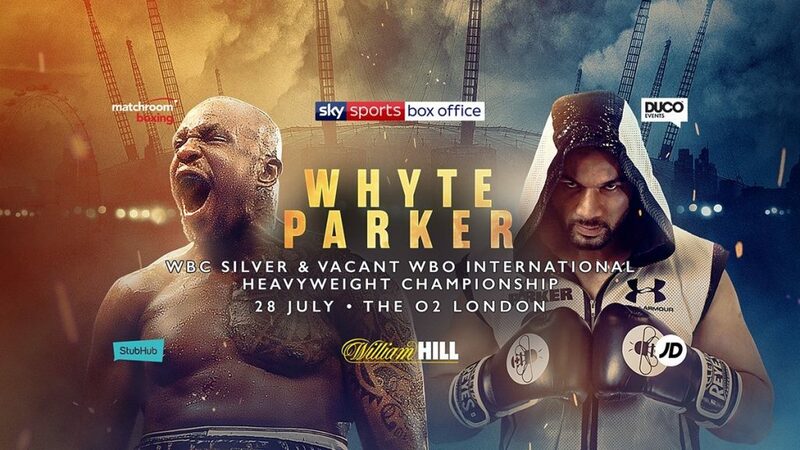 A stacked undercard features former Heavyweight World title challengers Dereck Chisora and Carlos Takam squaring-off for the WBA International title in a must-win match up. Katie Taylor, the biggest name in women’s boxing, continues her quest to unify the Lightweight division when she defends her WBA and IBF titles against mandatory challenger Kimberly Connor. Undefeated Heavyweight Nick Webb puts it all on the line when he takes on popular Doncaster man Dave Allen in an Eliminator for the British title and Joshua Buatsi goes for his first pro title when he fights Andrejs Pokumeiko for the WBA International Light-Heavyweight strap. Conor Benn fights for his first pro title in the WBA Continental Welterweight strap when he rematches Frenchman Cedrick Peynaud after their epic first encounter at York Hall and unbeaten Super-Welterweights Anthony Fowler and Craig O’Brien put their 0’s on the line. “This is a hugely important clash for the Heavyweight division that has captured the imagination of the public,” said Promoter Eddie Hearn. “Dillian Whyte’s career is on a ferocious upward curve right now and his popularity is continuing to grow.